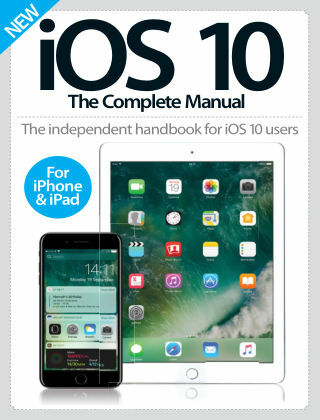 With Readly you can read iOS 10 The Complete Manual and thousands of other magazines on your tablet and smartphone. Get access to all with just one subscription. New releases and back issues – all included. Apple’s latest release, iOS 10, has seen Messages, Maps, Apple Music and more revamped to improve your user experience. In iOS The Complete Manual we will take you through all the changes, as well as covering key apps for iPhone and iPad. Unlock the true potential of your iDevice by getting to grips with iOS 10 today. Featuring: An introduction to iOS 10 - Take a tour of the latest additions to Apple’s mobile operating system. Beginner’s essentials - Take your first steps with iOS 10, from upgrading your OS to mastering gestures. Messages revamped - Get to grips with the new communications tools on offer in Messages. All-new News app - Understand the redesigned digital newsstand with our step-by-step guide.